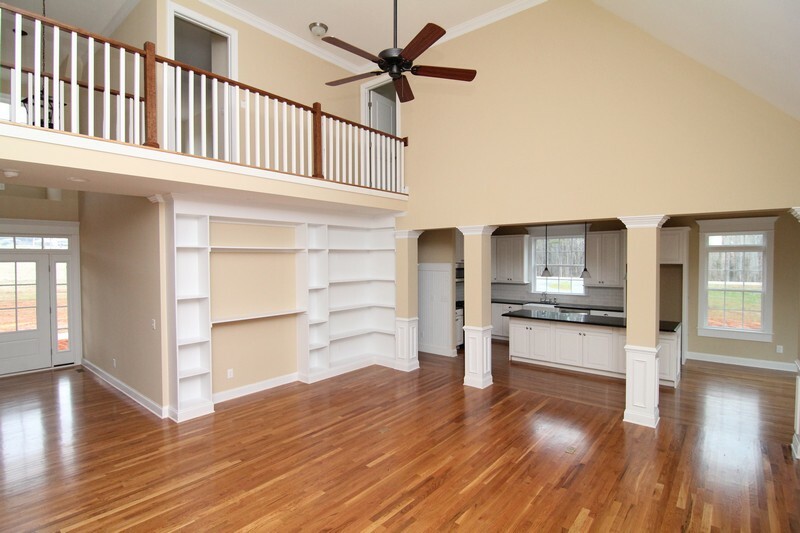 Want more ways to make your new home feel more spacious and open? 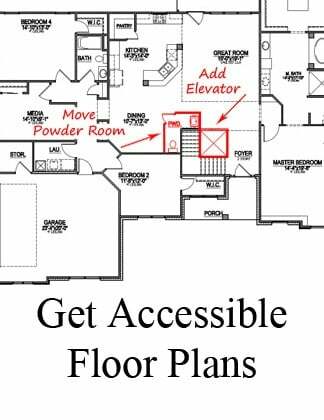 Consider floor plans that include a two-story foyer or two-story living room, with an overlook above. 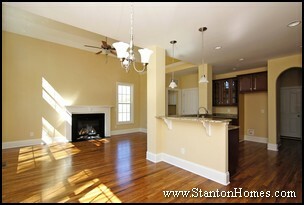 Looking for an open concept floor plan? 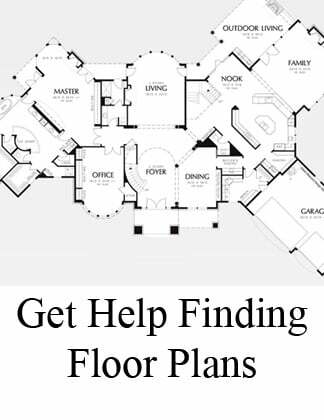 "Open floor plans" can mean different things to different homebuyers. 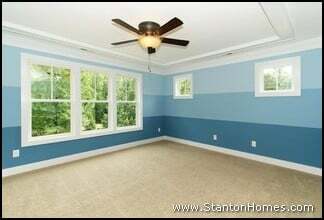 Usually it's a home with fewer "formal" spaces and walls. Rather than a formal dining room, an informal dining room may be found off the kitchen. A first floor office may be essential, but most of the family's time is likely to be spent in the Great Room, which may or may not have a high or vaulted ceiling. 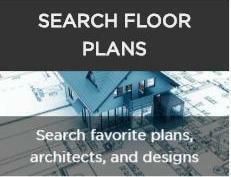 If you don't see an open floor plan that meets your needs, let us know, and we'll help you find or design the perfect floor plan. 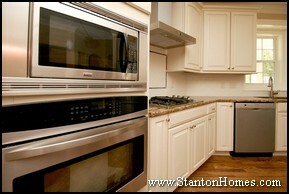 One of the top 10 reasons homebuyers choose a new home is the included special features. Trey ceilings, vaulted ceilings, and barrel-vault ceilings are popular custom home special features that can make your new home more open, flexible and enjoyable. These ceiling treatment styles can be added to many different rooms throughout the home, depending on floor plan specifications. 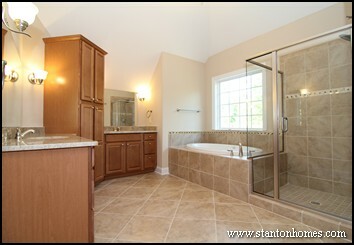 The Master Suite, Great Room, Formal Dining, and Master Suite Bathroom are common choices for these ceiling treatments. There are ten styles of Stanton Homes Signature Trey Ceilings to choose from - and they're included - Standard - at no extra cost! 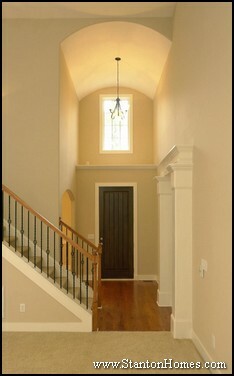 Popular Trey Ceiling styles include: shallow step, step, vaulted, octagonal, angled, or single box. Each of these styles creates exceptional architectural flare. 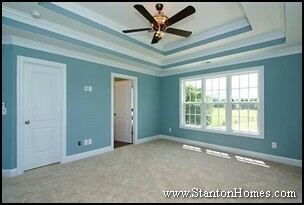 Want your ceiling to stand out even more? Then add a splash of color in the alternating trey sections. 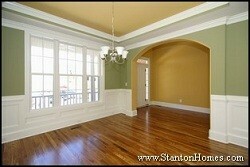 Today, it's hard to find these distinctive ceiling treatments unless you're firmly in the luxury home market. 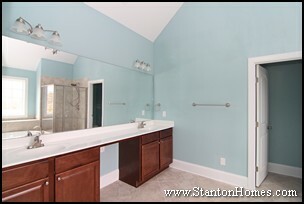 There are many other features that come standard with a Stanton Home. 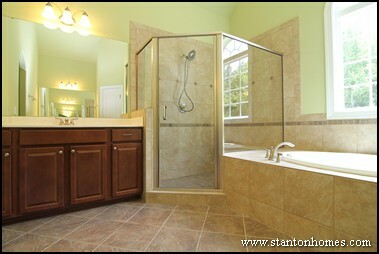 Ask us what comes standard at www.StantonHomes.com or by calling 919-278-8070. Today's budget-conscious homes are designed to save energy and space. New home buyers and builders have been asked, across the nation, what they want to see built. 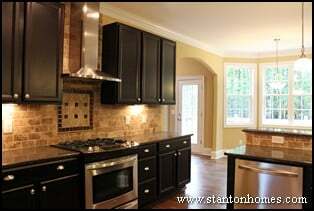 Here's what custom home builders in Raleigh are focusing on, to meet the needs of today's home buyer. Today's homebuyers are very focused on energy efficient homes, as energy costs continue to rise. They’re line-iteming $5,000, $10,000 and even more into building budgets in exchange for substantially lower monthly energy costs. (which provides a written guarantee of significant savings on heating and cooling costs) and ENERGY STAR programs that offer long-term lower energy costs. 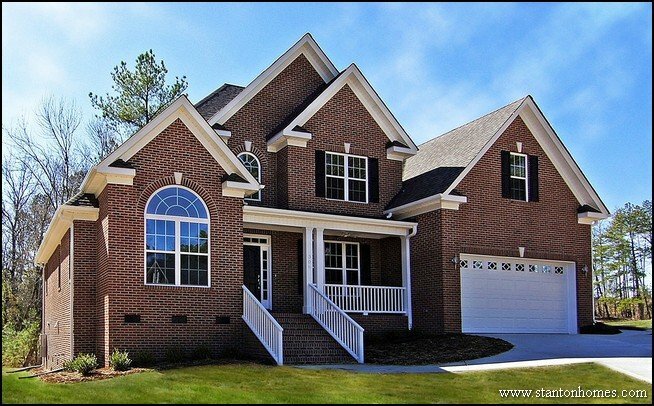 Many North Carolina new home builders are building better designed smaller homes – 1600 to 2500 sq ft, in place of the recently popular 2500 to 3500 sq ft range to homes. Smaller homes are more cost effective to build, reduce monthly housing costs, require less heating and cooling, and reflect an overall trend towards a floor plan that really works, without unnecessary rooms. Home buyers are more attracted to floor plans with open layouts, which provide more usable space in the areas where people gather. 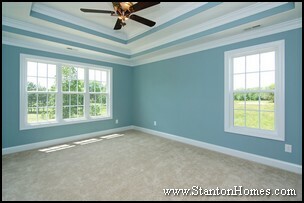 Homes with a Great Room concept are more popular than traditional formal living room/formal dining room plans. Great Rooms usually combine the main living space with the kitchen, while eliminating oversized hallways and excess walls. 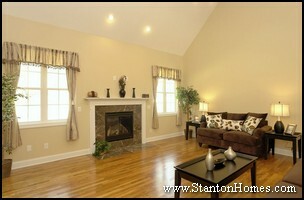 Formal living rooms and separate family rooms are just not as popular, with space at a premium. While 9 foot ceilings remain very popular for first floor areas, there is a decreased demand for vaulted or two story ceilings. 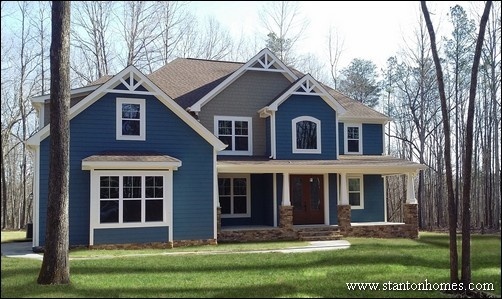 Floor plans with two story ceilings in the Family Room are often converted into extra living space, as new home builders in NC fill that empty height with a bonus room or game room on the second floor – without a huge price tag difference. 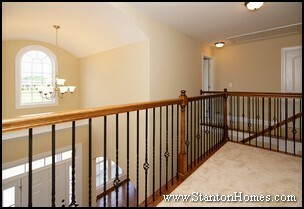 Two story foyers remain more popular than two story family rooms, but many homes have eliminated all two story areas. Homebuyers and home builders are opting out of many of the expensive options they were more likely to choose a couple of years ago, as they concentrate more on use of space. Homebuyers are more likely to plan for weekend projects in order to keep the overall price tag of their new home lower. 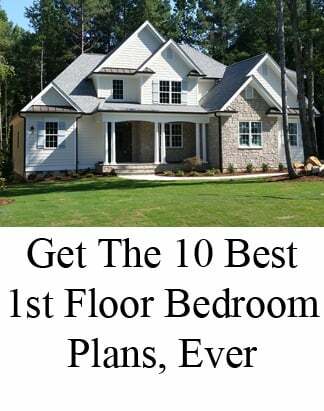 This includes choosing to add landscaping, decks, and additional paint colors later, and not including that luxurious double-sided fireplace and wet bar in the master suite. Today’s informal eat-on-the-go mentality has contributed to the popularity of eating areas off the kitchen. Formal Dining Rooms are being converted to Home Offices – and if an NC custom home builder knows that’s the intention in advance, there are some special adaptations they can build in that make that transition easier. The kitchen has become a central point of the home. In partnership with the elimination of formal dining rooms, kitchens often offer easier places to sit and eat or hang out. 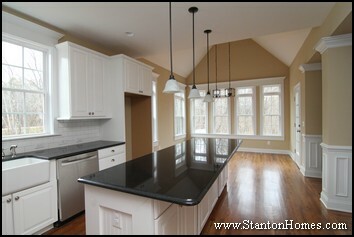 Large islands and seating areas are popular with people who like to gather where the food is cooking. 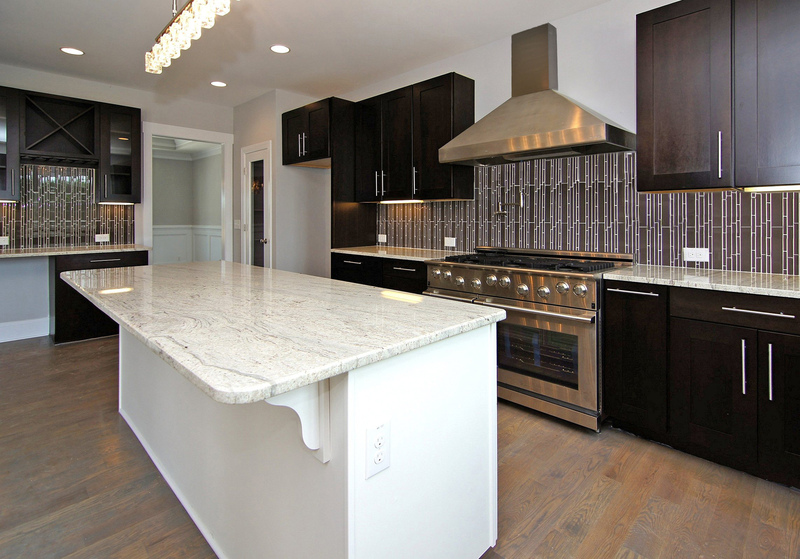 Countertop space, flow-through capabilities and energy-efficient appliances are a big part of the demand. Homeowners are looking for good value, rather than the flashiest new appliances or most expensive countertops. Homebuilders are seeing more requests for three car garages, where the budget allows. Three car garages are in demand to allow for small workshops, storage, or parking space for a Mother-in-Law or grown child who has moved back home. Even larger garages can be planned cost effectively. For example tandem garages, where one car parks behind another, are gaining in popularity. That extra area is also perfect for a workshop. Until recently, hardwood floors were found only in high-end homes. 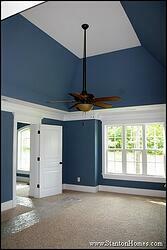 Now, hardwood flooring is one of the most popular upgrades in any new home in the Raleigh area. Advances in wood flooring during the past few years means that you can now have wood anywhere in your home. Here are the top 6 different types of wood and hardwood floors. Solid wood flooring refers to anything that consists of one piece of wood from top to bottom. Most often 3/4" inch thick, a solid wood floor can be sanded and refinished, making this an extremely long-lasting flooring. Oak is the most common natural hardwood flooring, in white or red. A white oak is usually just a little more expensive, but red oak tends to pick up and reflect red tones in cabinetry and other nearby features. 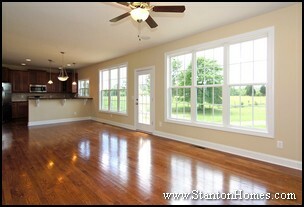 Maple, ash, hickory, and a variety of exotic woods are also available as solid flooring. 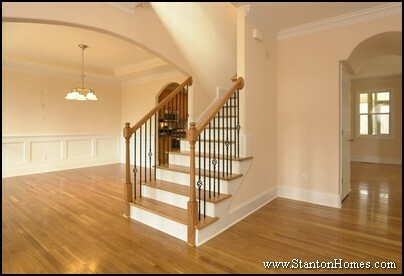 Custom builders often include at least several rooms with solid or engineered hardwood floors. Still most often referred to as hardwood or wood flooring, this wood flooring product consists of layers of wood pressed together. Because grains run in different directions, it is more dimensionally solid wood. If the top layer is thick enough, it is possible for the flooring to be sanded and refinished. 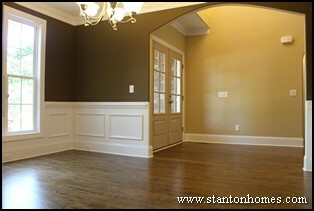 Solid or engineered wood floors can have stain and varnish applied in several ways. The most premium is "site finish". Unfinished hardwood is installed in the home. 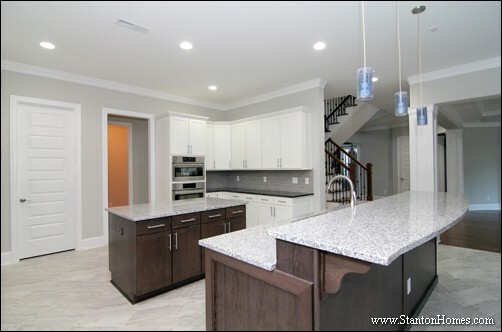 The buyer or builder chooses a stain color, which can be customized at the time of application by mixing one or more standard colors together. This stain and a final coat of varnish is then applied to the floor over a period of 3-5 days. 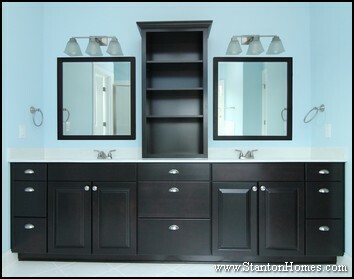 Individual pieces are pre-stained and varnishe d, then installed in the home. 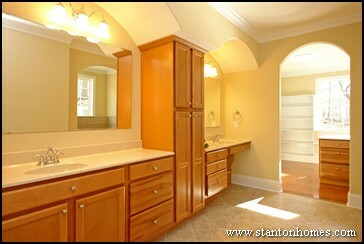 This process is quicker and less expensive than site-finished stain, but can be higher quality. Some manufacturers offer a 50 year warranty, and apply up to 12 coats of verathane. Wood laminates consist of a plywood base covered with a layer of veneer. Plies and thicknesses vary, but three-ply, 3/8 inch flooring is most common (compared to 3/4 inch for solid hardwood). The veneer topping of wood laminate floors (commonly 1/8 inch thick) can be sanded and refinished 3 times, at most. 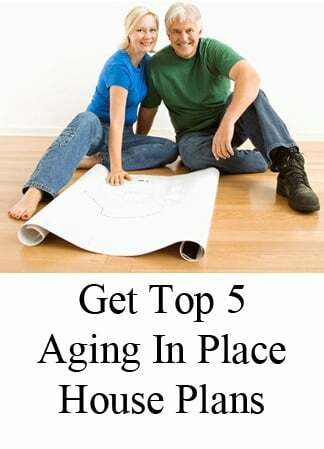 Most manufacturers have 5-year finish warranties. 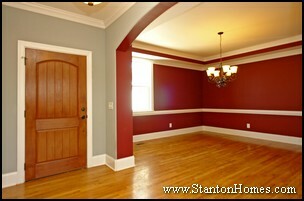 Laminate wood flooring can be a great way for a first time home buyer to experience the benefits of a wood floor. It's a low-maintenance alternative to carpet, and great for pets. Usually 1/2 inch thick, plastic laminate flooring consists of a fiberboard center wrapped in top and bottom layers of high-pressure laminate - a tougher version of the same material used in many kitchen countertops. These floors cannot be sanded or refinished. They usually come with 10 or 15 year manufacturer warranties. These laminate floors are very tough - they hold up very well, even under heavy traffic and pet claws. Because they are inexpensive and last 10-15 years, even if they eventually need to be replaced the long term cost is low. There are many colors, types, and styles of flooring within each of these categories. 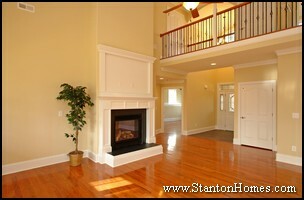 Buyers should choose wood flooring based on both asthetic quality and cost (over the life of the home). Solid or engineered hardwood floors cost m ore upfront, but are likely to last the lifetime of the home with proper care. Laminates will most likely need to be replaced at least several times over the life of the home, but can be lower cost and allow buyers a low-maintenence alternative to carpet. 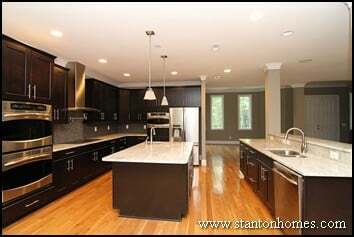 Buyers should ask their builder and/or real estate agent exactly what kind of flooring is standard in their new construction home, and which styles of flooring would be an upgrade. 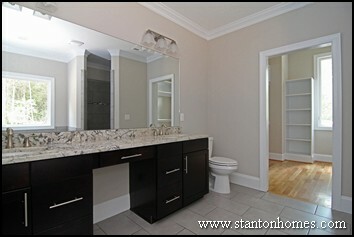 2011 Market Trends: What are Homeowners Giving Up to Stay on Budget? 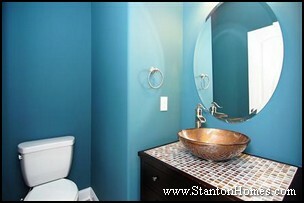 New Home Trends and Ideas - What's the Latest?